With the release of the Nintendo Switch and the Nintendo 3DS being six years old already, I’ve been looking at ending my hobby of collecting 3DS games. Right now, I’m considering which titles to fill the last couple of empty slots of my 3DS game library (I’m looking at either seven or 13). RPG Maker FES is one of the few titles that I’m guaranteed to get. I can’t wait to get my hands on this “game”. My first experience with RPG Maker dates back to a decade ago, when a fan translation of RPG Maker 2000 (or RM2K) for Windows was made available. RM2K is an application that allowed people to develop their own turn-based RPGs without requiring any programming (although some software development background helps). And I loved this program so much – I’ve always had the desire to create my own stories and always thought that the best medium for sharing the tales in my head would be as video game RPGs. So I spent a long time with it RM2K, creating my own world complete with its own towns and villages, dungeons, and inhabitants. RM2K provided all the tools and materials necessary, all I had to have were the ideas and the time. I never got to finish my game; I had a desktop computer so working on RM2K meant staying at home and spending my time on it. Versions of RPG Maker for portable devices became available, but only in Japan, so I was unable to continue or start new RPG projects. Enter RPG Maker FES. I first heard about it last year, before it’s Nintendo 3DS release on November 2016. Despite knowing very little about it, the mere thought of being able to create my own RPG and share them with other 3DS owners made me eager for a localized version. I didn’t have to wait that long; NIS America announced that they’ll be releasing the game to Western audiences this past February. Since then, different media groups have gotten the chance to play early builds of the “game” and have shared some nice to hear information. 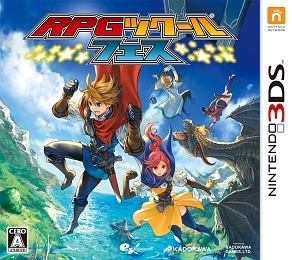 Box art for the Japanese release of RPG Maker FES. One common positive feedback that I’ve seen repeated by the people who had the chance to playtest the preview build of RPG Maker FES is how easy it is to use the design applications, primarily because of the touchscreen controls of the 3DS. Creating your own 16-bit looking RPG world is as simple as selecting the appropriate tile and dragging it across your workspace. And you get to design everything – your overworld, it’s towns and villages, the houses and buildings in them, all the dungeons, everything. RPG Maker FES comes with a good variety of components that will let you represent almost everything that you want – from snow covered lands to mountainous terrain, from forest-filled plains to vast oceans. 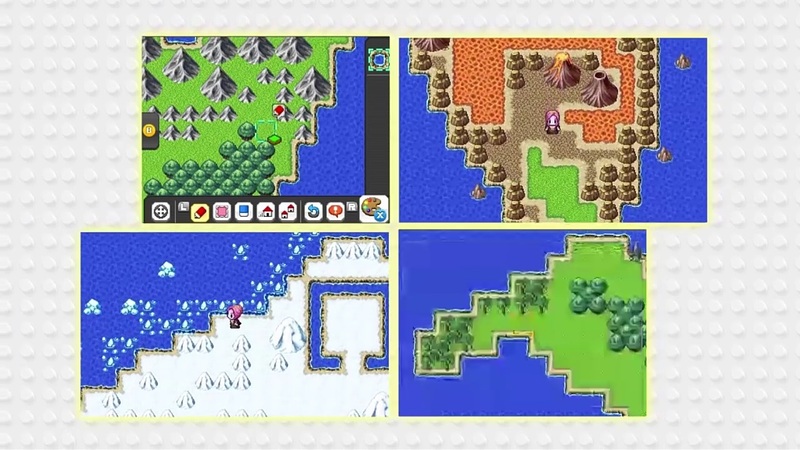 RPG Maker FES has components that will let you make your world as you see fit. RPG Maker FES also has a lot of components available for populating your RPG world, from characters to NPCs to the monsters that will serve as the opposition to would-be adventurers who will be playing your game. The early preview builds of RPG Maker FES only had the Medieval Fantasy theme available for both map tiles and character components but it has been announced that other themes will be available, such as a futuristic/sci-fi setting. No other information has been announced about this though, other than some of these will be available as paid DLC packs. RPG Maker FES will also offer a lot of character options that you can choose from. 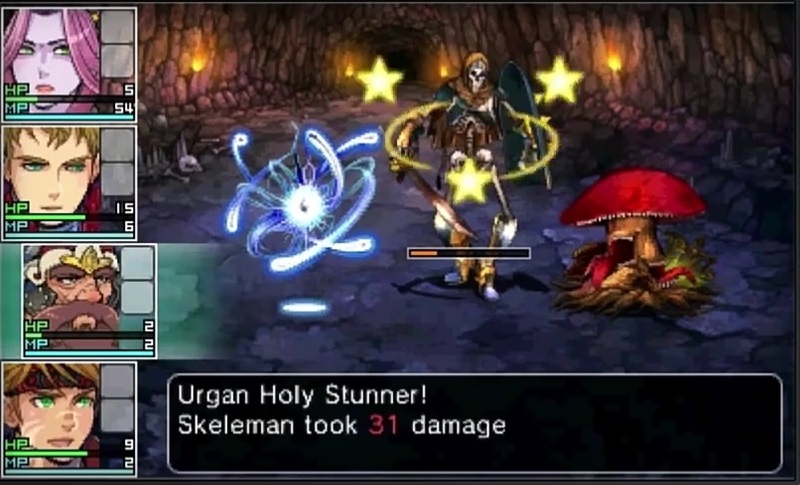 Of course, there’s more to characters than just looks – RPG Maker FES will give you control over what kind of powers or abilities they’ll have, how strong they’ll be, what items and weapons they can equip, and so on. You can even control each character’s stat growth upon leveling up! In terms of mechanics, games made through RPG Maker FES will use an “Events”-based system. You will be able to put in triggers and what happens after – for example, interacting with a character can either trigger a short dialogue, a battle, or a long cutscene. Essentially, RPG Maker FES has the basic building blocks that you’ll need to make RPGs without requiring you to have programming or software development know-how. A sample of how battles are going to look in games created via RPG Maker FES. Now, I’m very excited about RPG Maker FES because I want to create my own RPGs, and not everyone wants to do that – there’s a good number of people who just want to play and enjoy RPGs. But you know what? 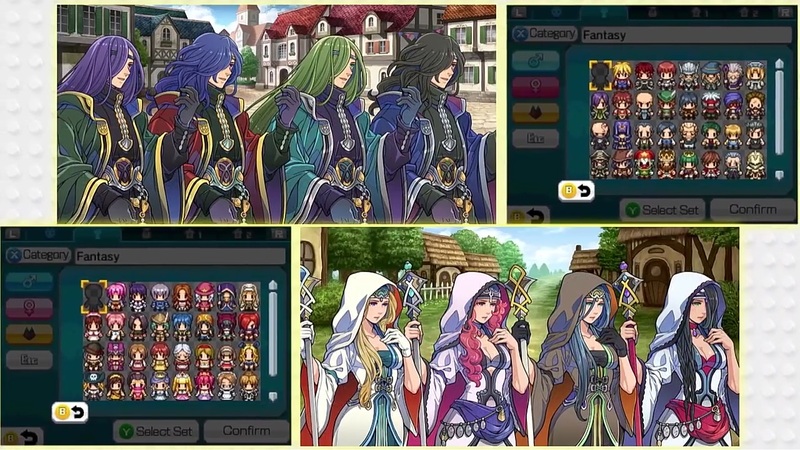 RPG Maker FES isn’t just for aspiring RPG makers, it’s also for anyone who enjoys playing 16-bit style JRPGs – the developers of RPG Maker FES will be releasing anapp on the Nintendo eShop that will allow 3DS owners to download and play user-created content for free! That’s right – even if you don’t want to purchase RPG Maker FES because you’re not interested in creating your own RPG, if you enjoy playing RPGs you should still stay tuned for it’s release. The closest comparable game to RPG Maker FES, Super Mario Maker, doesn’t even have this feature – we need a copy of Super Mario Maker in order to play all those amazing Mario level creations. You don’t even need to buy a copy of RPG Maker FES to play user created content – you can simply download the free RPG Maker Player app from the Nintendo eShop! Thinking bigger picture though, more long term… RPG Maker FES essentially means an endless stream of RPGs for the Nintendo 3DS for as long as there are people who are creating content. With an application that will allow anyone to create RPGs on the go that is convenient to use and offers a lot of design components, I’m sure there will be enough created content to satisfy the hunger of RPG fans for years to come. 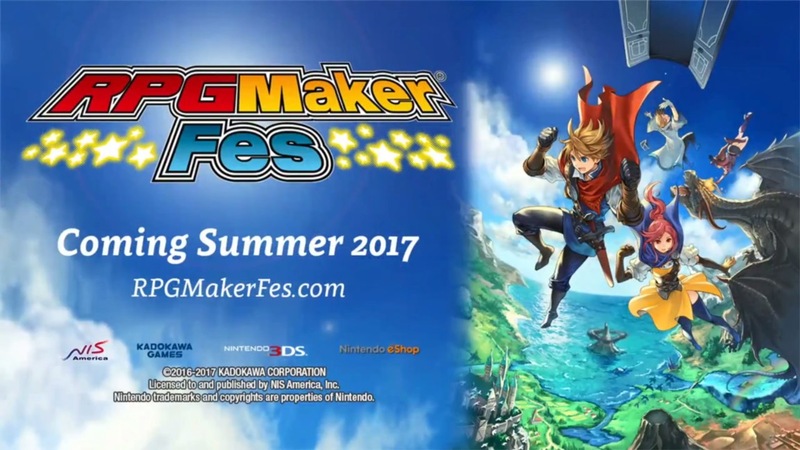 RPG Maker FES will be released to Western audiences on June 23, 2017. And again, you don’t have to buy the game in order to enjoy it, so this release should be on any 3DS owner’s radar. Personally, RPG Maker FES is one big reason why I don’t want to retire my 3DS yet and move onto the Nintendo Switch – this is a sure buy for me once it comes out! 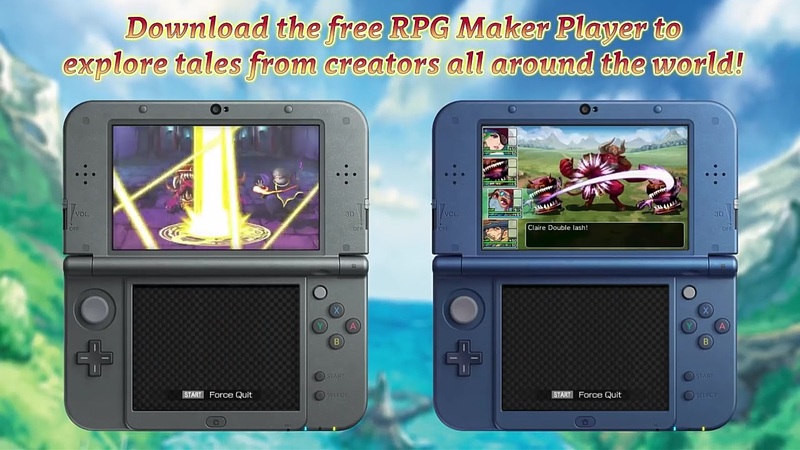 Have you heard about RPG Maker FES for the Nintendo 3DS? Let us know what you think by leaving a comment or two below! I am so excited for this. I’ve been a huge fan of RPG maker since XP owning every version since then. 3DS is a perfect fit for it and I hope it continues onto Switch. I have lots of ideas for games. Not just RPG’S. It’s flexible enough to make all sorts of stuff with a little ingenuity. Thanks for the comment! I haven’t been this excited for a 3DS game since Smash Bros was announced for it. Can’t wait to play your creations!